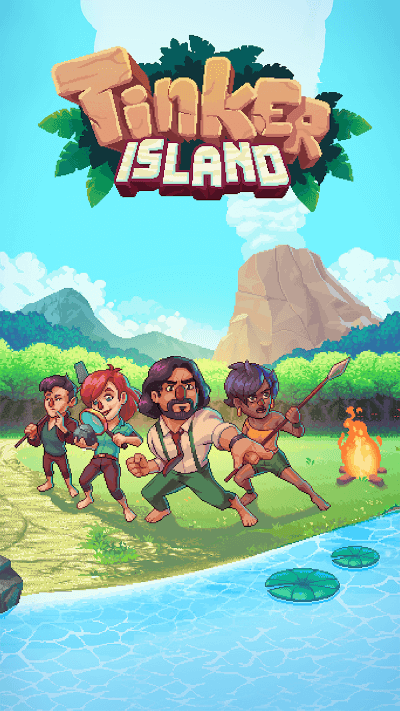 Tinker Island is a survival game on Android devices, it was released by Kongregate, has 8-bit graphics and addictive gameplay for gamers. Tinker Island’s background is quite familiar, players will act the survivors of a shipwreck and drift on a primal island. Your task is to find ways to survive through tasks that awake instinct for survival such as setting fire to camps, finding food, water … It is accompanied by expanding the exploration of The Island’s terrible secret, looking for other missing people. Tinker Island’s style of play makes many people remind of Don’t Starve – the same genre game causing fever in the gamer community. However, in fact, Tinker Island has a completely different style, not a lonely feeling, but rather the game is made of bright colors. Most importantly, the game allows players to use different characters to carry out missions instead of just choosing one of them. 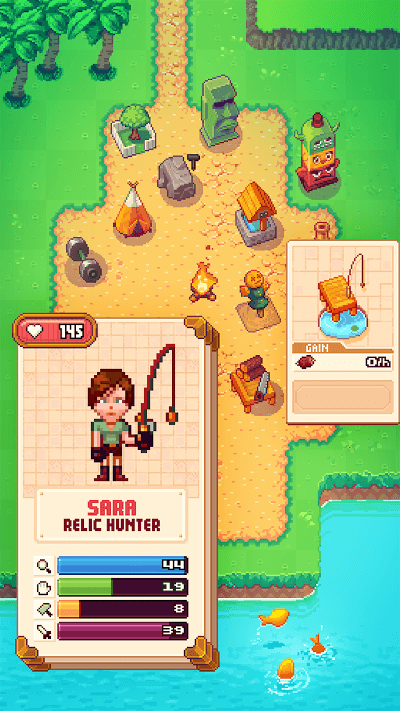 Specifically, Tinker Island gameplay style will allow players to control each character in a variety of missions, including land expansion, hunting, collecting food, water …. All characters are shown as cards and only one a soft touch on the screen, you can start the work. Here, you will feel the game has a bit of a mix of Clash of Clans in controlling characters performing many activities at the same time, each activity will have different waiting time, requiring your work distribution ability. The more you explore the land and open the game, the more characters will survive and each level will be upgraded, with different challenges. These are the beasts that always catch sight the player and then force you to fight to survive. In addition, each character will have the different index for different tasks such as the ability to explore, build, fight superior to other characters, so players will need to manage and distribute each character for specific jobs. In general, Tinker Island is a relatively new survival game. The game has 8-bit graphics, the gameplay with the simple operation but the addictive gameplay is a bright spot to conquer unpleasant gamers. In particular, the game also allows players to connect with each other through Facebook to be able to explore, carry out tasks together.